NEW THIS YEAR! Attend any class at Orangetheory in East Longmeadow (click HERE for details), sign in when you’re there (YOU must remember to sign and date our sheet at the studio – NO EXCEPTIONS) and earn FIVE raffle tickets for every class you attend! Description: Embrace New England?s winter months with our Winter Warrior Series! The Winter Warrior Series will keep you active, outside and motivated with a supportive and encouraging group during the inevitably unpredictable northeast winter. 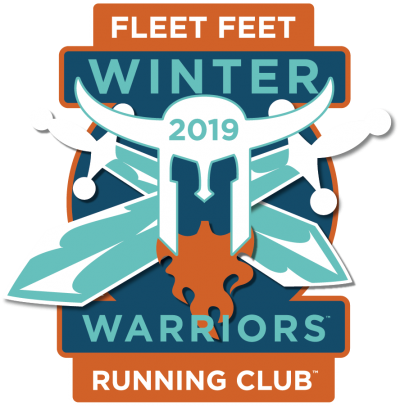 The Winter Warrior Series is open to all fitness levels and runs for sixteen weeks. Let's layer up, lace up your shoes and have some fun this winter! Check-in and participate in weekly runs and workouts to earn points and raffle tickets! You can also earn tickets by attending classes at Orangetheory in East Longmeadow!